With many worked examples, this book provides step-by-step instruction for all calculations required for wastewater treatment. Pertinent calculations are conveniently summarized in each chapter. The text covers all the fundamental math concepts and skills needed for daily wastewater treatment plant operations. 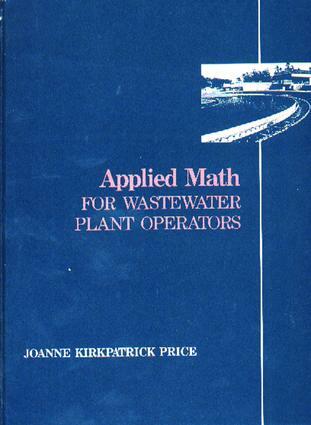 The workbook for this book can be purchased separately or together in the Applied Math for Wastewater Plant Operators Set (ISBN: 9781566769891).